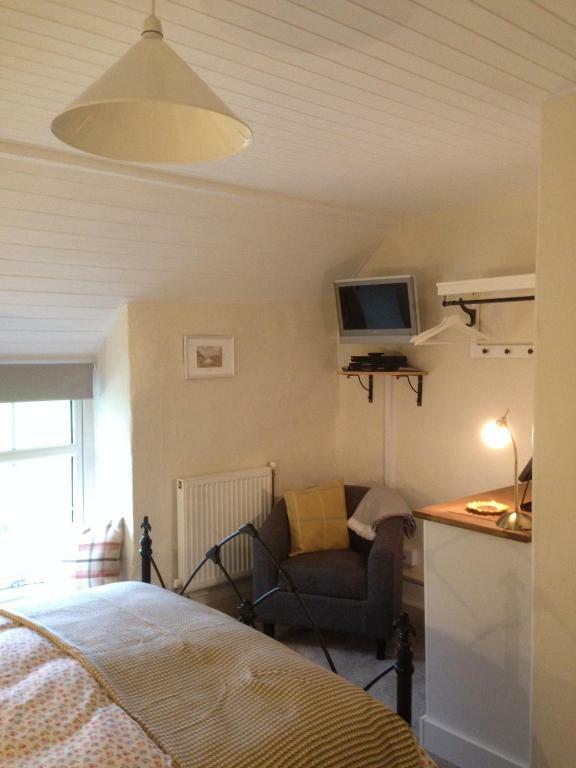 This is a very cosy, comfortable studio style accommodation in a beautifully converted chapel, set amongst stunning remote countryside. We really appreciated the welcom essentials pack (bread, milk, butter, tea & coffee) along with the treats (Bara brith and biscuits). View from the front window over the field was nice, but the view from the entrance is absolutely stunning (the attached photo doesn’t do it justice). 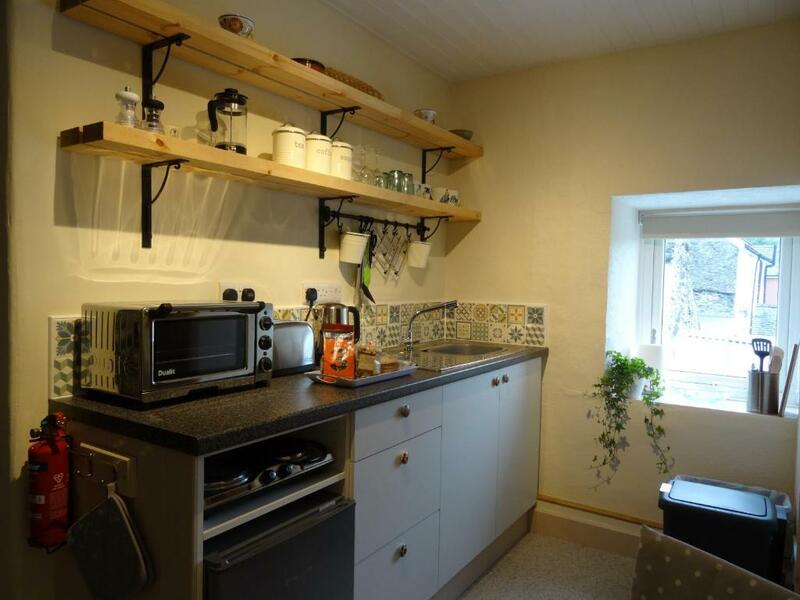 Very remote but only 10-15 minutes from all the facilities of Machynlleth - large co-op, restaurants, coffee shops and typical Welsh shops, bakeries etc. 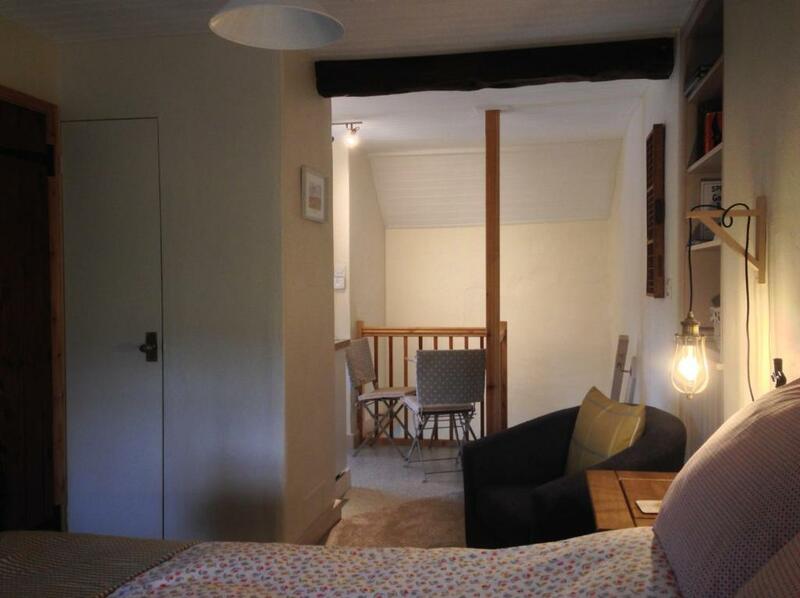 This is property is a gem; a little secret that's too good to share... 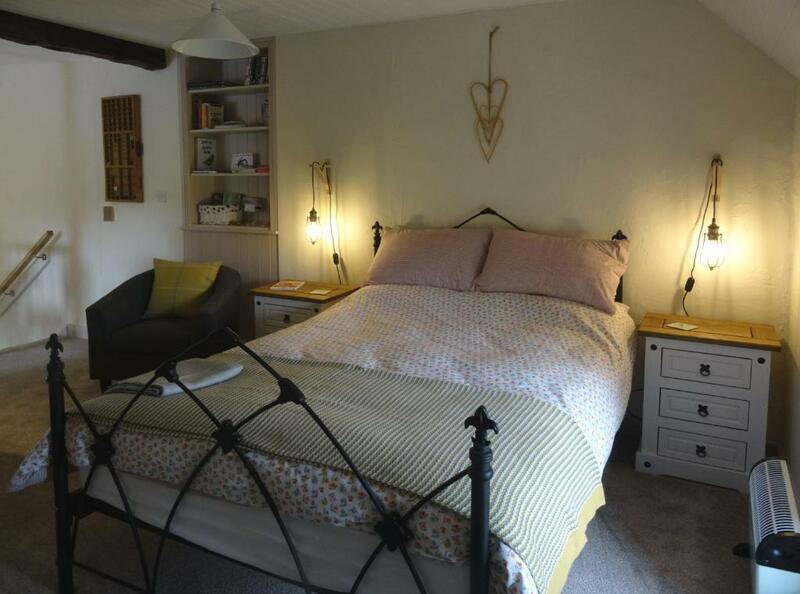 Located in the peaceful village of Darowen with stunning views of the Welsh countryside. Machynlleth is a short drive away for your nearest shops. The kitchette has everything you'll need to make simple dishes for two. The attention to design and comfort really makes this studio more than just a home away from home. The owners are welcoming, discrete and helpful. Don't think about booking it, just do it! 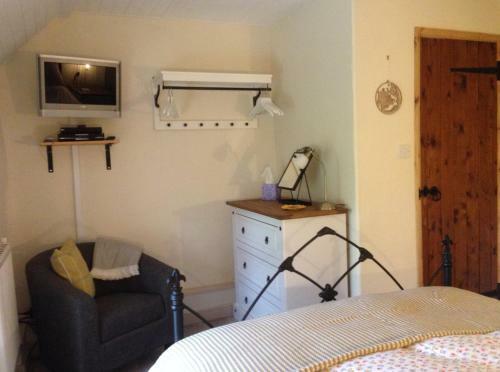 Very comfy, well furnished, beautiful location and welcoming hosts. The non chemical cleaning products. The simple yet functional layout of property it was very much suited to our liking. The information folder really useful tool although we didn’t realise that th Coop supermarket had an or organic section and instead we drove into Aberystwyth. If that were included along with organic eateries that would have been great. The superb amount of information which took us to both northern and southern Wales. Overall every box was ticked. 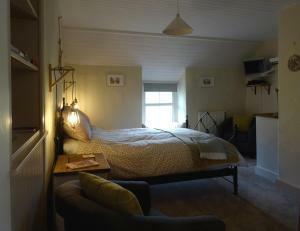 Lock in a great price for Ty Capel - rated 10 by recent guests. Ty Capel is situated in Machynlleth. The property was built in 19th century, and has accommodation with free WiFi. The apartment features 1 bedroom, a kitchenette with an oven and a toaster, and 1 bathroom with a shower and a hair dryer. A flat-screen TV is featured. The apartment offers a terrace. Hiking can be enjoyed nearby. Aberystwyth is 26.7 miles from Ty Capel, while Barmouth is 29.2 miles away. This property also has one of the best-rated locations in Machynlleth! Guests are happier about it compared to other properties in the area. 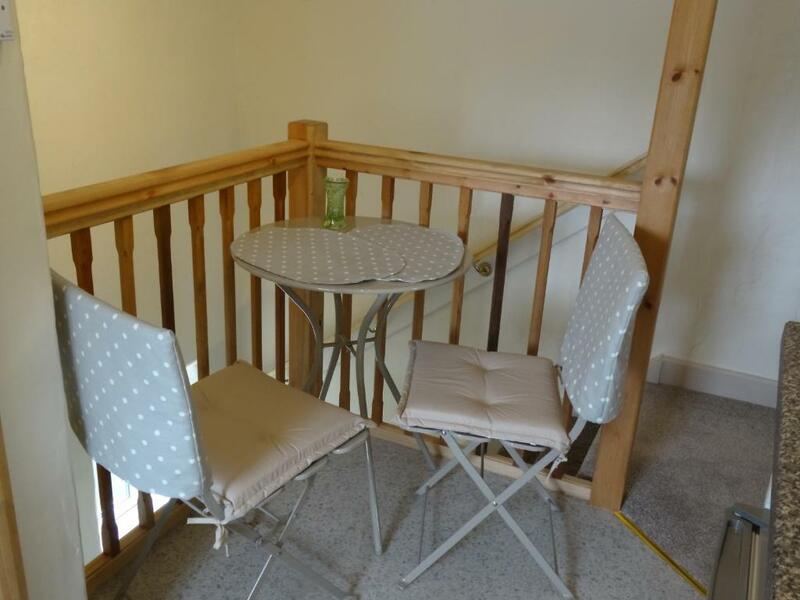 This property is also rated for the best value in Machynlleth! Guests are getting more for their money when compared to other properties in this city. Ty Capel has been welcoming Booking.com guests since 22 May 2018. When would you like to stay at Ty Capel? We are Marion & Alex Burnham and we own and live at Ty Capel. We moved to Wales in late 2015 to spend more time enjoying the great wild places we love. We decided we'd like to share our space with others so they can also experience this wonderful area of mid Wales. 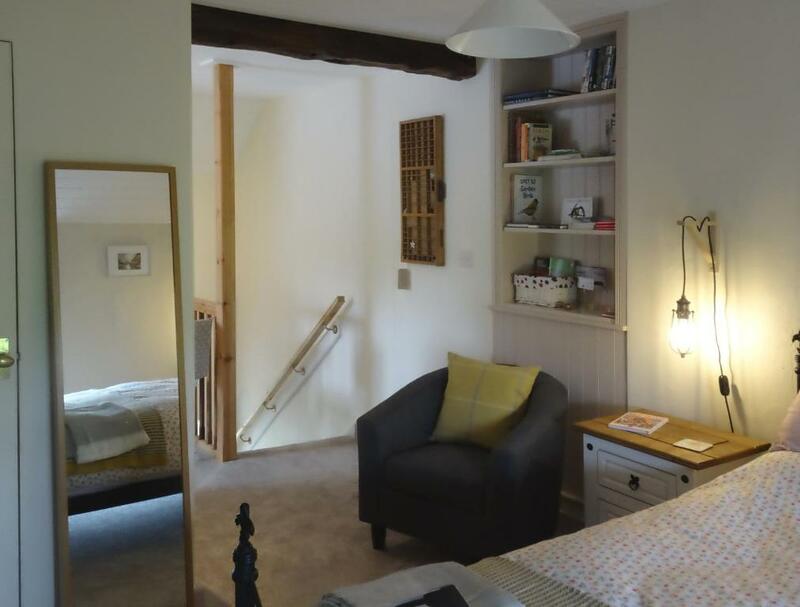 We've never rented out holiday property before, but we know what we like to find when we go away, and we've tried to make it a place we'd love to stay. We hope you love this place as much as we do. Darowen is a tiny village of some 20 homes and outlying farms, sitting on a short ridge between two hills. It is within a UNESCO recognised area called the Dyfi Biosphere. All roads leading to the village are up hill! The local community is chiefly made up of local farming families, and English incomers like us who love the gorgeous views. Everyone is friendly, with several homes welcoming holiday guests. While we don't have a pub or shop here anymore, we do like to meet up in each others homes for a good natter! House rules Ty Capel takes special requests - add in the next step! Please inform Ty Capel in advance of your expected arrival time. You can use the Special Requests box when booking, or contact the property directly with the contact details provided in your confirmation. It’s very difficult to find anything negative to say. 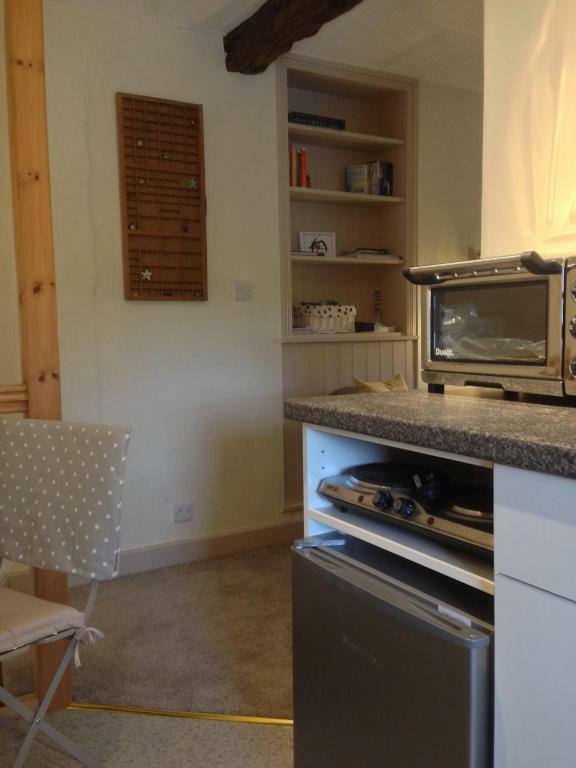 Our only negative comment would be that the small kitchen restricted the cooking facilities somewhat so a microwave would have been appreciated. However, continental style breakfasts are all we needed so it was fine. We didn’t get on at all with the portable induction hob! For some reason Google Maps sent us to the next hamlet on rather than straight to Darowen. A resident there helped us as he'd had another guest ask for the same directions a few weeks before. It might be worth a note on the booking not to trust Google Maps! There is nothing with didn't like! I can honestly say there was nothing missing from this apartment that could have made the stay better. The apartment had everything thought of, with a very comfy bedroom with entertainment should you be tired or the weather rather miserable and a handy kitchen for a simple dinner, making picnics or just keeping your beers cold. Warm shower with heated towel rail, which I think is needed in a smaller space so towels can dry without getting damp. Lots of windows for fresh air and views out. And lots of maps and guides for local walks, which was just what we needed, as well as a thorough guide book written by the hosts on what to do, where to go, and where to eat and drink. The furnishings and decor within the apartment has been done to a very high standard and the place was spotless! The tiny village itself was gorgeous and peaceful, with views of the hills and of course curious sheep. Hosts are also very knowledgable of the area and are very friendly. We enjoyed a good chat in the garden telling them what we'd been up to in the day. I would love to go back here to stay and do more exploring of the area.